Arian Foster signed a one-year deal with the Miami Dolphins. 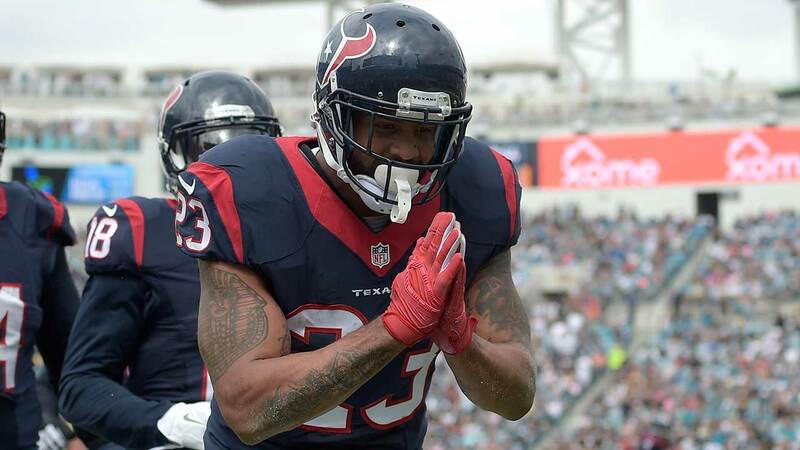 HOUSTON (KTRK) -- Former Houston Texans running back Arian Foster has a new team. Eyewitness News has confirmed that Foster signed a one-year deal with the Miami Dolphins. Foster's agent, Mike McCartney, tweeted congratulations to the former Texans star on Monday afternoon. Foster will join a Dolphins backfield that is in flux after Lamar Miller, Miami's leading rusher last season, signed with the Texans. Jay Ajayi and rookie Kenyan Drake currently are atop the Dolphins' depth chart at running back. The Texans did not offer Foster a pay cut before releasing him on March 3. They simply couldn't count on his availability anymore, as he approaches his 30th birthday next month. Foster came to the Texans as an undrafted free agent in 2009. He spent most of that season on the practice squad, being elevated to the active roster in November. The 2010 season marked his breakout year. Foster rushed 33 times for 231 yards in a season-opening win over the Indianapolis Colts, sealing his role as the Texans' starting running back. He won the rushing title that year, gaining 1,616 yards on 327 carries, and went to his first of four Pro Bowls after that season.